Let me start with an introduction, I am a Police Superintendent and I have been a police officer now for approaching 18 years. In that time have had the privilege of working with some of the finest people you will ever meet, let it be known that I work with everyday heroes and I am immensely proud to be a cop. I live in a rural village, and while writing this blog can see and hear a Red Kite out of the window, importantly may their continued resurgence be everlasting. I have recently been appointed as the new National Chair of the Raptor Persecution Priority Delivery Group. The Raptor PPDG is one of six such Priority Delivery Groups nationally, and I am extremely proud to have been asked to lead this important work. I think it is fair to say that of the six species above, the biggest controversy I have seen surrounds the Hen Harrier. The disappearance of so many Hen Harriers across England and Wales in suspicious circumstances will be an absolute priority for all members of the PPDG to tackle head-on. 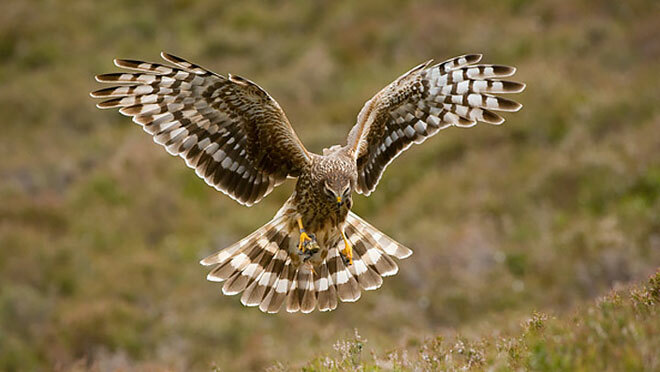 One of the first briefings I will receive is on the work contained within the National Hen Harrier Action Plan, one of the first actions I hope to secure is PPDG member’s agreement on joint press statements following reports of both confirmed persecution incidents and disappearances. The current silence from many PPDG members leaves a void, which is unhelpfully filled by accusations of conspiracy and collusion, the current status quo cannot continue. In my first couple of weeks as Chair I have taken the time to meet with many people, including my predecessor in the role, Defra Senior Police Advisors and the National Wildlife Crime Unit. These meetings were to ensure I could get as much detail as possible before engaging with the wider raptor community. A number of people have reached out via Twitter too (@SuptNickLyall) and I look forward to speaking to those individuals over the coming days and weeks, as I look to redefine the work of the PPDG. I had a really helpful conversation with Ruth Tingay this week, thank Ruth! I have had a series of meetings this week too, including with the RSPB and Moorland Association. At the RSBP I got to spend time with the Investigation Team, who talked me through a number of critical issues within the persecution enforcement area. This meeting gave me plenty of food for thought, and reinforced my view that the PPDG must have an enforcement focused sub-group moving forwards and I have written to a couple of key people asking them to consider chairing this. This sub-group will focus on those people known or suspected of killing birds of prey and will include partners like the Police, RSPB and CPS and report into the PPDG. Today’s meeting was hosted by the Moorland Association, joining me on this visit was a Senior Policy Advisor for Defra and the Head of the National Wildlife Crime Unit. The Chairman and Director took the time to explain to me the work they complete to support a reduction in persecution, including conservation activity. The Moorland Association are committed to working with me as PPDG Chair to eradicate unlawful activity and to release joint statements, in an attempt to breakdown the `them and us` that currently exists, and highlight the good work taking place that currently goes unreported. We had a number of focused discussions during the day and I left reassured that we could start to build a strong partnership to tackle those involved in persecutions offences, including but not exclusively rogue gamekeepers, who tarnish the name of those who add so much to rural life. The PPDG will become much more balanced in its membership, raptor conservation groups will have a stronger voice, and the group will focus on delivering activity against the three clear strands of Prevention, Intelligence and Enforcement which will all be governed by a newly created Action Delivery Plan. Community engagement activity will be key if we are to make a difference and every member of the PPDG has a key role to play in delivering real, sustainable change. I have written to the current PPDG members with a revised Terms of Reference just this past weekend and am already planning a National Raptor Persecution Workshop towards the end of November. Only by everyone working together will we achieve success. Let me close this first blog by saying this, I will give my all to ensuring the work of the Raptor Persecution PDG becomes focused on genuine and meaningful partnership and community activity to combat raptor persecution across England and Wales. I know this isn’t going to be an easy task, I absolutely know the challenge ahead, and cant wait to start delivering change. I will keep you all updated through this blog, in the interest of openness and absolute transparency and while you might not agree with what I say, I hope you welcome and value this insight. I look forward to your interaction and support…. This article has been published with the full approval of the author, Police Superintendent Nick Lyall, the new National Chair of the Raptor Persecution Priority Delivery Group (RPPDG). You can read the original blog written by Police Superintendent Nick Lyall and read the comments posted on his blog HERE. 2 comments to New Raptor Persecution Priority Delivery Group (PPDG), a new beginning? This is a breath of fresh air. Someone keen to take positive action as well as make statements is most welcome in this role. Many of us are trying to take positive action, held back by the attitude of people he will meet. I have been involved with the conservation and protection of raptors for over 5 decades and throughout this period I have witnessed first hand the sustained killing of these species, including the destruction of their nests, their eggs and chicks contained in nests on red grouse moorland here in the N.W of England. Although since 1974 my main focus has been on moorland in Lancashire’s Forest of Bowland, I have also been closely involved with protecting peregrine nests in the Lake District National Park, and since 2002 have had a close licensed relationship with Poland’s White-tailed eagle. I continue to be amazed at the attitude of denial demonstrated by shooting groups like the Moorland Association and the National Gamekeepers Organisation when it comes to persecution of the hen harrier and peregrine. Despite what these two groups may say or claim to the contrary which flies in the face of reality, the facts tell a different story completely. There is no denying what has been taking place on grouse moors in our country throughout many many decades, and has now brought the hen harrier close to extinction in England. This position is also reflected by the way the peregrine falcon has also been treated by many moorland gamekeepers, reducing their number on all northern England grouse moors to critical levels. Lancashire’s Forest of Bowland, once upon a time regarded as the main English stronghold for the hen harrier, where in 1974 39 breeding females were recorded distributed across each of Bowlands shooting estates; this number has been reduced to just 3 successful nests restricted to a single estate owned by United Utilities. The peregrine has done far worse in Bowland having been reduced from an average of between 16-18 breeding pairs in 2009 to a single successful pair this year. It is no coincidence this singe pair is also located on moorland owned by United Utilities. Neither is it a coincidence that the peregrine and hen harrier are completely absent from all the additional shooting estates in the Forest of Bowland, and because of ongoing persecution of raptors in this region today the situation is unlikely to chance any time soon. This trend was graphically illustrated by the slaughter in April 2016 of the last breeding pair of peregrines established on a private estate in the Forest of Bowland. Unbelievably when the case came to court the presiding Judge ruled the video evidence which captured the killing of these falcons at their nest was inadmissible; it seems when the camera had been installed over looking the nest without the correct authorisation and without the land owners approval, the Judges ruled the camera had been installed illegally. Raptors like the hen harrier and peregrine have a common link with the majority of English grouse moors, these species are conspicuous within these areas by their complete absence from such habitats.